A new report has revealed a third of millennials could still be renting by the time they retire, warning that a generation of young buyers are facing the prospect of never owning their own home. Lending a hand to those first-time buyers wanting to get on the property ladder, Notting Hill Genesis has a selection of Shared Ownership apartments launching on Thursday 19th and Saturday 21st July, at the award-winning development, Woodberry Down in Hackney, N4. Built in partnership with Berkeley Homes and set alongside 42 acres of open water, buyers can reap the rewards of living in a truly unique and tranquil location, without comprising on a London lifestyle, or a hefty price tag. 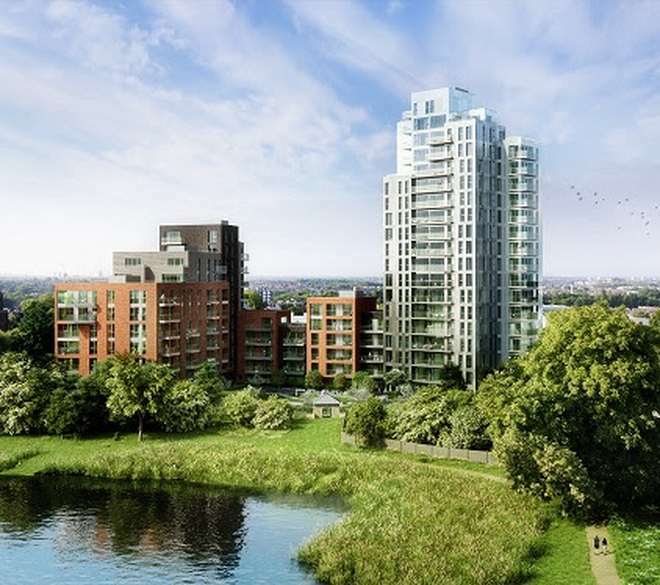 Set among the stunning surroundings of the East and West Hackney reservoirs, the ten one and two-bedroom Shared Ownership apartments are a few minutes’ walk from the Woodberry Wetlands wildlife and nature reserve, providing an idyllic retreat within this well-connected Zone 2 location. A trio of parks neatly surround the development; Finsbury Park, Clissold Park and Woodberry Down’s new Spring Park, offering residents an abundance of green spaces to enjoy. Commuting into the city couldn’t be easier, with Manor House Underground station five minutes’ walk from home, served by the Piccadilly Line, offering services to Kings Cross St Pancras, Covent Garden and Leicester Square in less than 20-minutes. All apartments have been built to an exceptionally high standard and have been thoughtfully designed to make the most of the waterside location and landscaped residents garden. The cool and contemporary interiors perfectly complement the relaxing urban surroundings, and each apartment comes with its own balcony or terrace. Woodberry Down offers both secure and modern, high-quality living with access via an intercom system, with built-in functionality for mobile phone notifications and TV operation. The eclectic hotspot of Hackney has something for everyone. There is a vibrant social scene and diverse dining options, ranging from the Michelin-starred restaurants, Clove Club and Lyle’s in Shoreditch to the gastronomic hub at Stoke Newington’s Church Street along with a number of welcoming cafés and bars located nearer to home. Woodberry Down also has a health centre, two schools and an Academy within walking distance of the development. For shopping options, Kingsland Shopping Centre is less than three miles away, whilst the street food feasts and pop-up mall’s of Boxpark is a short tube journey away. Commuters are well placed for easy travel. Manor House Underground station is just a five minute walk from Woodberry Down, served by the Piccadilly Line purchasers can reach the West End in 16 minutes. Alternatively, there are two Overground stations, Stamford Hill station and Finsbury Park station providing direct routes into Liverpool Street in 15 minutes, where Crossrail services will also be operating later this year, providing an average journey time of just 10 minutes to Canary Wharf and Paddington and 40 minutes to Heathrow Airport.